The Oxford Monster XL Padlock is an ultra strong padlock with a boron steel housing and a 16mm shackle. 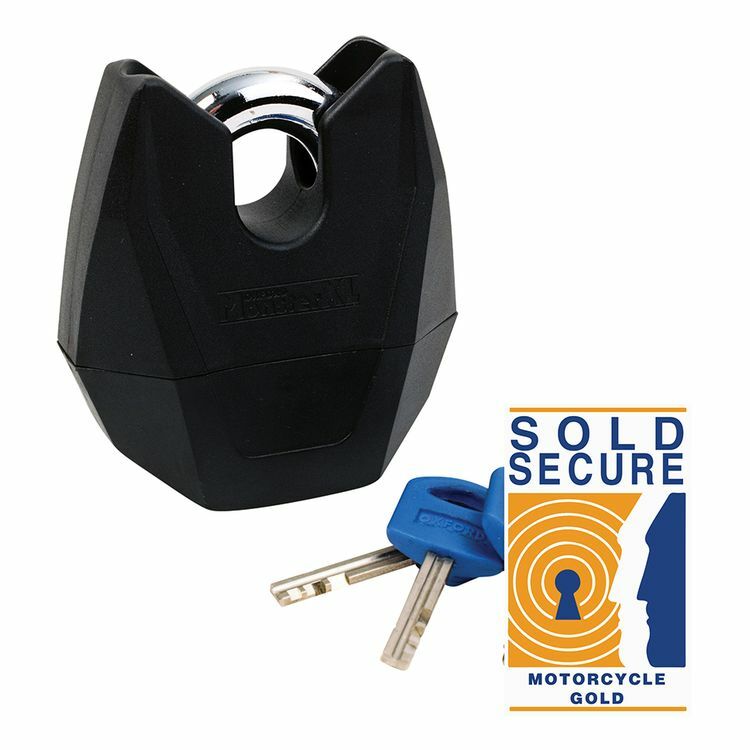 The MonsterXL holds a Gold Sold Secure Rating. Sold Secure is a non-profit testing administration based in the UK and Gold is the highest level.